Yes, I’ve had the privilege of reviewing TYLT products before, and I was pleased to try out some new ones with the FLYP-DUO and the Y-CHARGE [QUIK]. I’ll start with the FLYP-DUO, that is named for lots of flipping and duo-able action. I’ll start by saying that it has both a micro-USB as well as a Lightning connector. 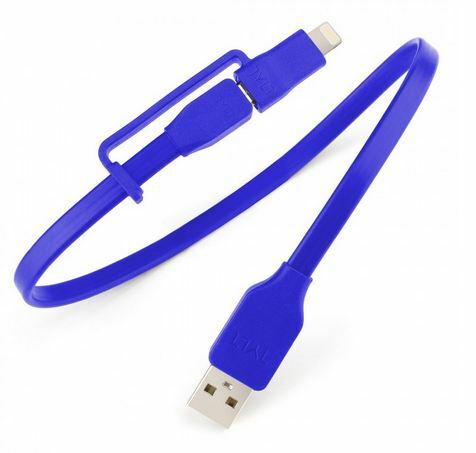 This means that it is good for both Apple and Android devices, but it can’t do two at once. The USB is also reversible, meaning you don’t have to fiddle with the USB plug anymore. It is also max speed charging, so it really is just plain handy to have one of these around. You can get the FLYP-DUO on the TYLT site for $24.99. This leads to the next product, the Y-CHARGE [QUIK]. I believe that when I first saw a Y-shaped product at TYLT booth at CES years ago, it was the first TYLT product that I was interested in reviewing. It connects to the car’s charging port (what used to be a cigarette lighter until…I don’t know) and then branches into two USB ports. I am not certain why it is called the QUIK, but perhaps it has the SmartDetect Technology senses the device’s power needs to provide maximum rapid charging. According to the box, it charges up to 75 percent faster, and charges Apple devices up to 2.4 x Faster. So that is why it is QUIK, as my favorite comic critic states: “because poor literacy is…kewl”. I guess that the 4.8 Amp circuit rapidly charging factor charges so fast that it got the “C” out of there. 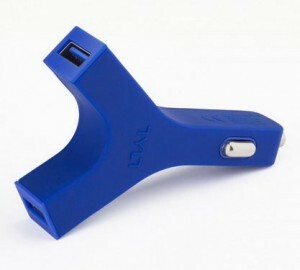 You should be able to purchase the TYLT Y-CHARGE [QUIK] for about $39.99 on the TYLT site.